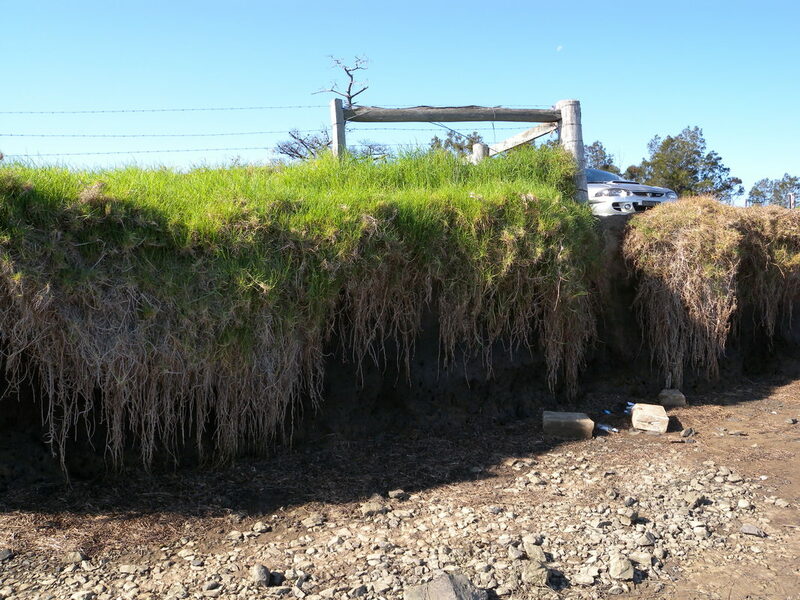 Erosion along the lower Shoalhaven River at Bolong has occurred over the years with subsequent economic loss of valuable farmland, destruction of natural breeding areas for fish and the silting of the riverbed. Riverwatch has been actively seeking funding from the local Council as well as the federal government to undertaking bank restoration work with landowners with advice from local and state authorities to find cost effective methods of bank restoration without the need for expensive civil works. These methods involve the planting of mangroves and foreshore vegetation to stabilise banks and build up vegetation. 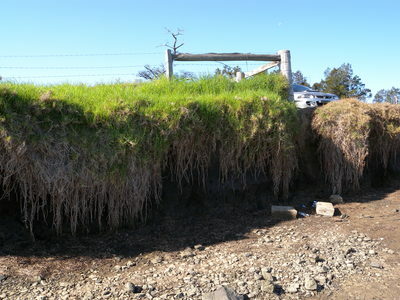 The picture above shows the extent of bank erosion. The stone wall in front of the bank was constructed in the 60s, and the amount of erosion once this wall broke down is evident. Of more serious consequence is the loss of the main Bolong Road which services Shoalhaven Heads. 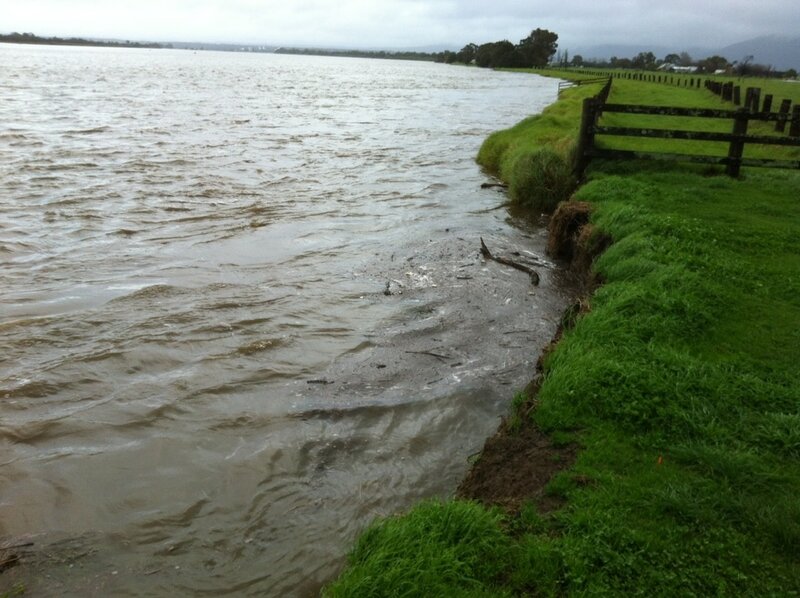 The road is now about 15 metres from the eroding bank. 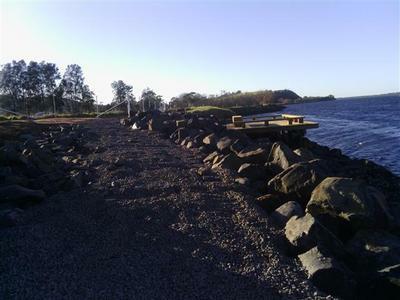 The bank does have a Shoalhaven Council reserve, which is used as a local fishing spot. 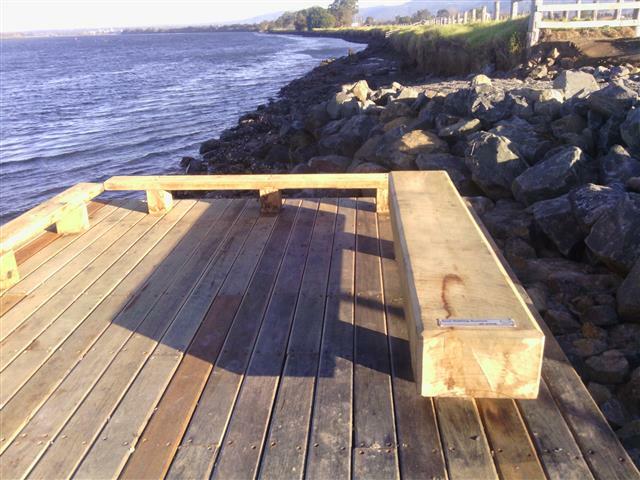 Shoalhaven Council, with a grant from the Recreational Fishing Trust, constructed a new fishing platform together with bank restoration work. 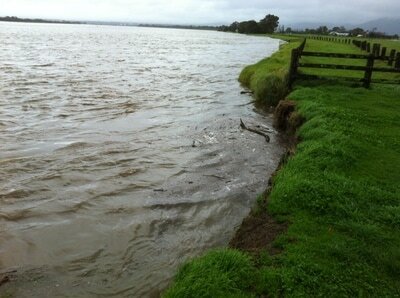 Riverwatch would like to congratulate Council's staff for a job well done. 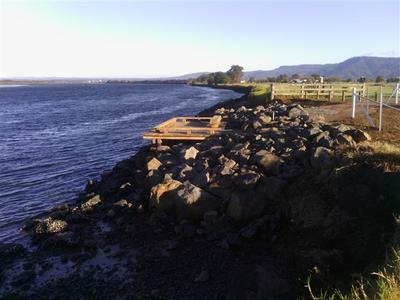 The Federal Government, through the local Gilmore office of Ann Sadmalis, has reserved funding of $300,000 to stabilise the Shoalhaven River embankment near Bolong Road under the Improving Your Local Parks and Environment Program. Shoalhaven City Council has lodged a Grant application for expenditure in FY17/18. 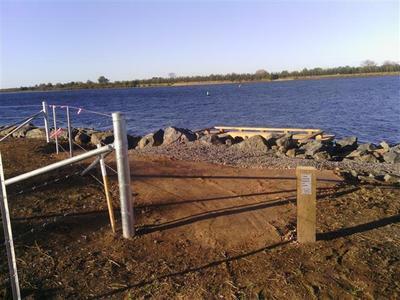 Once funds are received, Shoalhaven Council, Local Land Services, Department of Primary Industries, Riverwatch and properties owners will discuss and implement the most cost effective strategy for the restoration. 29Apr13 Item 10 of the Business Paper of the Northern Shoalhaven Nartural Resource & Floodplain Management Committee. 14Mar13 Riverwatch's Application for funding under "Caring for our Country"